Cover of The Girl’s Own Paper, March 19, 1898. 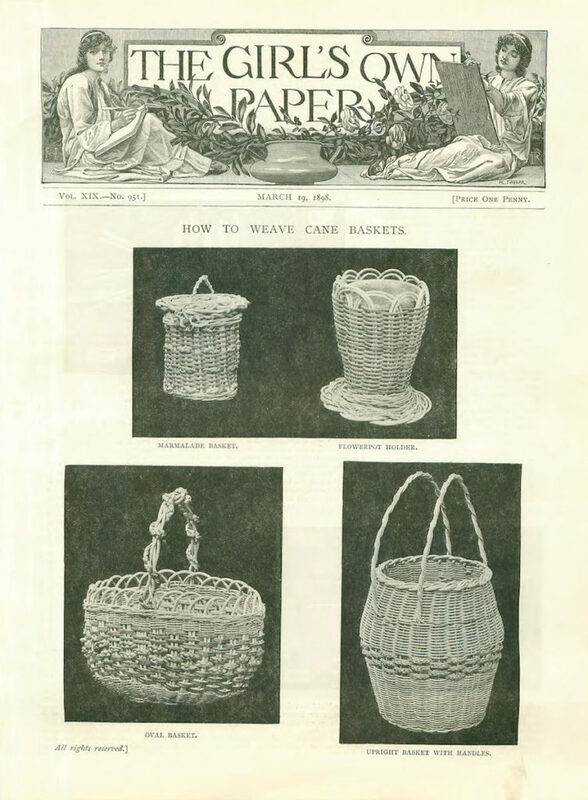 From about 1860 forward, and particularly during America’s “Gilded Age,” a surge in mass-produced magazines spread artistic and craft trends to households across America. These inexpensive publications could be found in the hands, parlors, sewing rooms — and smoking rooms — of all Americans, whatever their social class, ethnicity, or region. Their articles, richly illustrated with step-by-step instructions, tips, and recommendations, made popular art accessible to and executable by nearly anyone. Encouraging the re-use, modification, and decoration of otherwise unused and unserviceable, though sometimes sentimentally valuable, household items, such magazines appealed to limited budgets and frugal sensibilities, while providing a wide-ranging palette for domestic creativity. This pervasive “Make Do” movement inevitably affected the traditional repertoires of ethnic artists.